England’s winter tour to Sri Lanka is already underway, with the three remaining ODI’s, one Twenty20 game, and three test matches all set to be thrilling and unpredictable affairs. In the UK, TV coverage of the whole series is on Sky Sports. There are other ways you can enjoy the entire series for free, but you will need a VPN to do it. In this article, we will tell you everything you need to know to watch England v Sri Lanka Test Match Cricket series free. After a thrilling home test series against India, which England won 4-1, anticipation is high for this Sri Lanka tour ahead of a busy summer of cricket in 2019, which includes a home Ashes series and a home World Cup. However, unless you are a Sky subscriber, you will not be able to watch any of the series in the UK. There is no highlights package on terrestrial TV. Even Test Match Special will not be covering the series after they were outbid for radio rights by commercial station, Talksport. But don’t worry. There is a still a way you can watch all the action in the UK, and indeed anywhere around the world. All you will need is a VPN, such as ExpressVPN, and the Indian broadcaster SonyLiv. Sony will be broadcasting the entire series on free-to-air TV in India. And they will also be streaming it for free on their website too. A VPN will let you watch that in England or anywhere else. The Sony Network in India will be broadcasting all the England v Sri Lanka series on their Sony LIV streaming service. But if you try and log into that service from outside India, you will find it is blocked. This is where a VPN comes in. 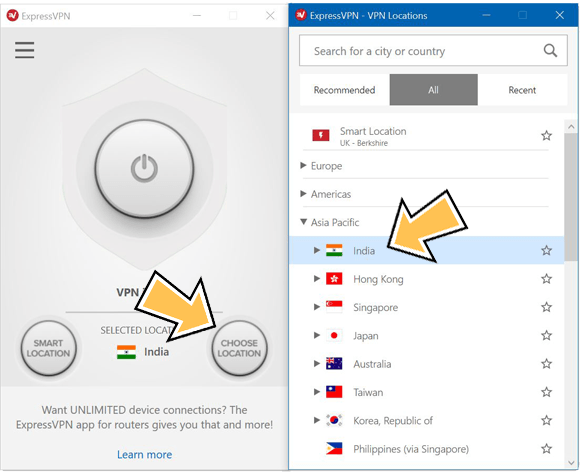 By logging in to a VPN such as ExpressVPN and then connecting to a server in India, you can fool the Sony LIV service into thinking you are located in India even when you aren’t. By doing so, you can stream the entire England v Sri Lanka cricket series. ExpressVPN was the best performing VPN and they also offer a great deal too. We currently have a special offer which will give you three-months extra free with a twelve-month subscription. And with a great 30-day money-back guarantee, you can try their service for a whole month risk-free. Click here to visit the ExpressVPN website and select ‘Get ExpressVPN’ to sign up. Next, head to the Products section of their website and install the correct app for your device. Click Choose Location, then All, then Asia Pacific and then select India. If the VPN doesn’t automatically connect, press the Connect button. Once the app has connected, visit the Sony LIV website and enjoy the cricket. When is the England v Sri Lanka cricket series being played? 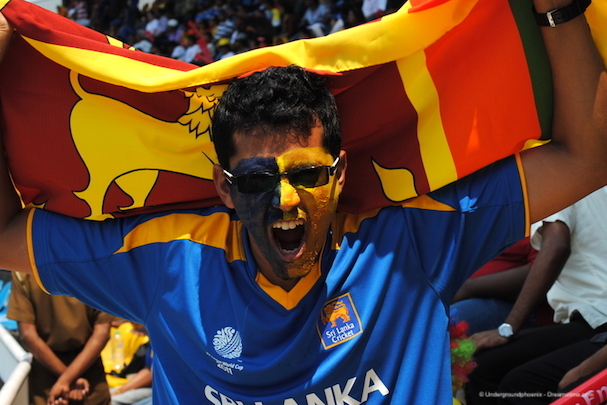 The England v Sri Lanka series takes place between 10th October and 23rd November. England are currently one up in the one-day series with three ODIs remaining, while the teams will also contest a single T20 game and three test matches. You can stream every minute of every game live and for free on Sony LIV as well as enjoy their various highlights packages too. It is an important series for England as they prepare for a big summer next year. But the retirement of opening batsman and former captain Alistair Cool means they have a big gap to fill at the top of the order. Surrey opener Rory Burns looks to be the man to step into Cook’s shoes. But he will have his work cut out to form a new partnership with out-of-form Keaton Jennings ahead of next summer. As ever, dealing with spin will be their biggest challenge in Sri Lanka. But it will also be a chance for England’s spinners to stake their claim for a place in the side. Moeen Ali looks likely to be the lead spinner as well as bat a number three, while Adil Rashid will hope to bounce back from a disappointing series against India. If you want to keep track of England’s progress in Sri Lanka and don’t want to pay for a Sky subscription, then you will need a VPN. By signing up for a VPN like ExpressVPN and then connecting to an Indian server, you can watch the whole series on Sony LIV. In this article, we have told you everything you need to know to watch the England v Sri Lanka series, including a step-by-step guide on how to set things up. Now all you need is an alarm clock for all those early starts! Who do you think will win overall? I’ll be cheering for England but I would love to know your thoughts so why not post in the comments section below.